When it comes to concrete demolition, it's important to know the best tools to use. 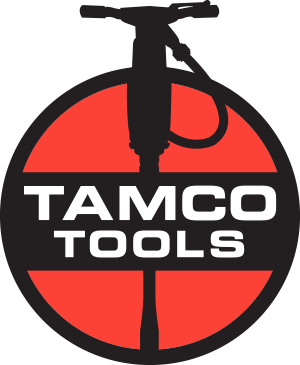 There are a variety of air tools that can be used that can have great benefits over the large tools. By using air tools, you eliminate the risk of electric shock from environments that are moist or contain flammable liquids. There is also more power to weight, increased productivity and they are easy to service. Take a look at paving breakers, rivet breakers, and chipping hammers below for additional information. Paving Breakers are hand-held concrete breakers. They have a T-shaped handle and usually used perpendicular to the ground. They are the most powerful tools on this list. Paving breakers that weigh between 30 and 40 pounds are great for removing concrete for partial-depth pavement repair. Those that weigh 60 or more pounds are great for medium to heavy jobs with reinforced concrete. They are great for demolishing roads, pavements and thick concrete. They are on the heavier side but are the most powerful. They usually weigh between 30 and 99 pounds. Paving breakers do not hit as fast as chipping hammers and only range from 800 to 2,000 blows per minute. These blows are hard and may break through certain surfaces. Rivet busters look similar to chipping hammers, but are larger in size. They were originally used for slicing through steel rivets, but now also are used mainly in concrete work. They are easy to handle and also the hardest hitting per pound of all demolition hammers. They have a massive impact. For example, a 35 pound 11 inch stroke tool is able to hit as hard as a paving breaker weighing 60 pounds. They are a bit heavier than chipping hammers. Rivet busters also contain high consumable parts. Chipping hammers are small hand-held concrete breakers. These come in gooseneck, or closed handle. Chipping hammers are lightweight and usually between 8 and 20 pounds. These are highly productive tools and easily maneuverable. You can also position them easily in order to break vertical and overhead surfaces. They have a rapid chipping action that ranges from 1600 to 3,000 blows per minute. They are not as powerful as a paving breakers or rivet busters. These air tools are a great addition to your fleet for demolition work and can be much better than the larger tools. Needing new tools for an upcoming job or to replace old units in your rental fleet? If you want to learn more, check out our post onAir Tools here.